Mark got an ice-cream maker for Christmas from my parents and we haven't even made ice cream in it yet but Mark has made some UH-MAZING raspberry sorbet - from the raspberries we picked in Hamilton, and some frozen yoghurt too. Yummo! Just as an aside, I have a funny story (Mark's gonna kill me for sharing) about his first attempt at using the machine. He got the raspberry sorbet mix all ready and put it in the container, turned it on, checked on it after 20 minutes and wondered why nothing was happening. He then re-read the instructions which said: chill the container in the freezer for 24 hours before using. Ahem! Noah lapped up thirstily the module they did on dinosaurs at school, so much so that Noah's teacher actually commented twice in his school report about the level of his interest and knowledge, and he was able to carry that love on with our trip to the natural history museum in London, and he's always wanting to play the 'Guess the dinosaur' game with me - of course I always lose - he knows so many obscure names I've never even heard of! 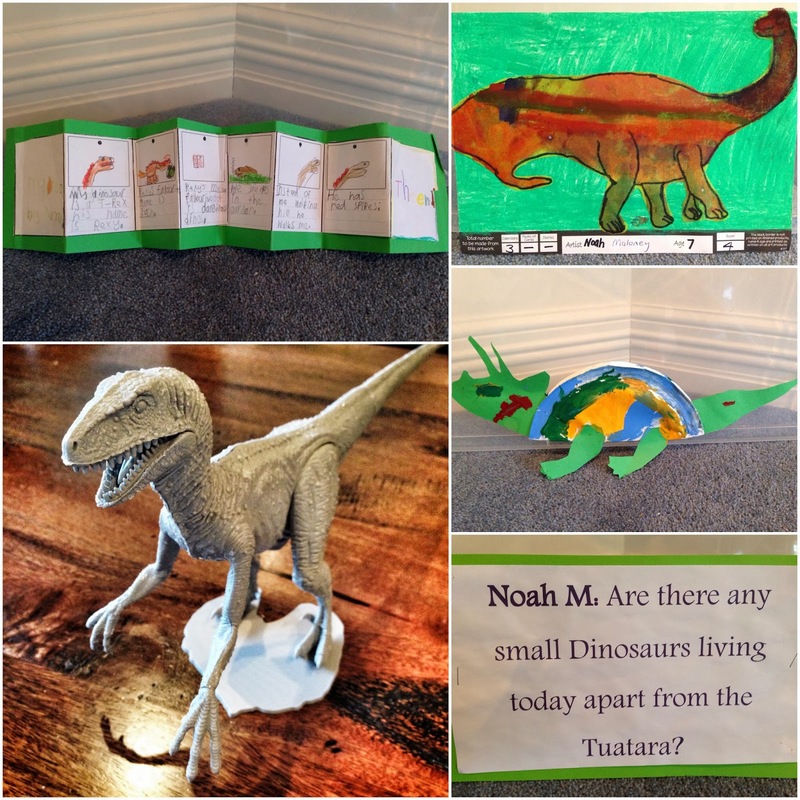 Below is a selection of his dinosaur school work as well as the cool velociraptor model that he and Mark built (a present from Uncle Nic and Aunty Kim for Christmas) on a rainy day last week. We carried on with the dinosaur love with a trip to the movies on a disgustingly bad weather day during the holidays to watch Walking with Dinosaurs in 3D. Despite a fairly loose storyline, the fact that they chose very unusual dinosaurs in the move made the movie for me and I dare say would also have increased the average joe public's knowledge a great deal. I'll bet you haven't heard of all these before - pachyrhinosauras, gorgosaurus, edomontosaurs, troodon and chirostenotes - and there wasn't a T-rex, brontosaurus, or triceratops in sight! They also have a great A-Z on the Natural History Museum site so you can find out more about any individual dinosaur for yourself anytime you want - I've used it a lot as I'm forever having to look up names that Noah has had me guessing so I can actually believe that he hasn't just made them up! 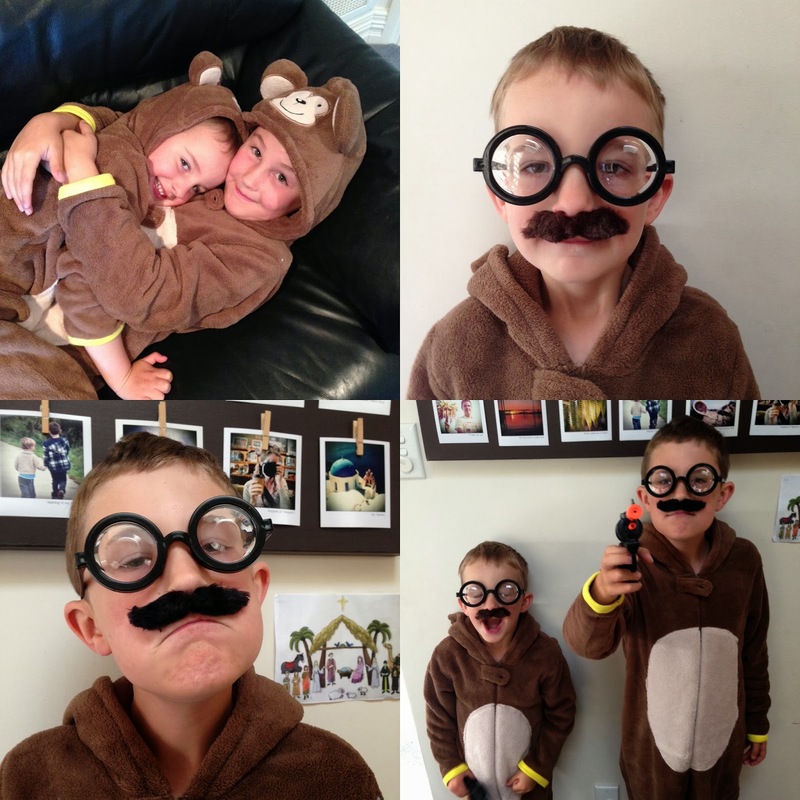 The boys enjoyed opening a few late prezzies from UK Grandma & Granddad when we got back from holiday, aka matching onesies - these really are the cutest little monkey suits - plus they topped them off with some very laughable disguises - they remind me of the bumbling policemen in Tintin a bit! He might only be four - but this pose had me sure I was watching some tough FBI dude going incognito on a stake-out - made me almost scared to sit next to him and eat my lunch! Well we had a pretty forgettable few days of weather here to end our holiday at home. But we'd discussed on the drive back on New Years Eve plans to clean up and declutter, garden etc so in the end we had about the right mix of rainy days and sunshine to get things looking a bit more ship shape both inside and out - well kind of - don't you find when you finish one area your eyes just get opened even further to what else needs doing around the place - feels like it's really only the tip of the iceberg?! As well as doing about 10 loads of washing over the 5 days, we attacked so many cupboards and drawers all over the house and in the loft, spent a whole afternoon in the garden, planted new plants down the side of the house, and sprayed Wet n Forget (this stuff is amazing by the way - say goodbye to green walls for good!) outside on the house, deck and paths.. I also got busy on sorting other 'stuff' around the house. One thing I do try and do each year is make a record of all Noah's artwork and special items he's created during the year - some very special bits I paste in a school scrapbook I've made for him but the rest I just Artkive. 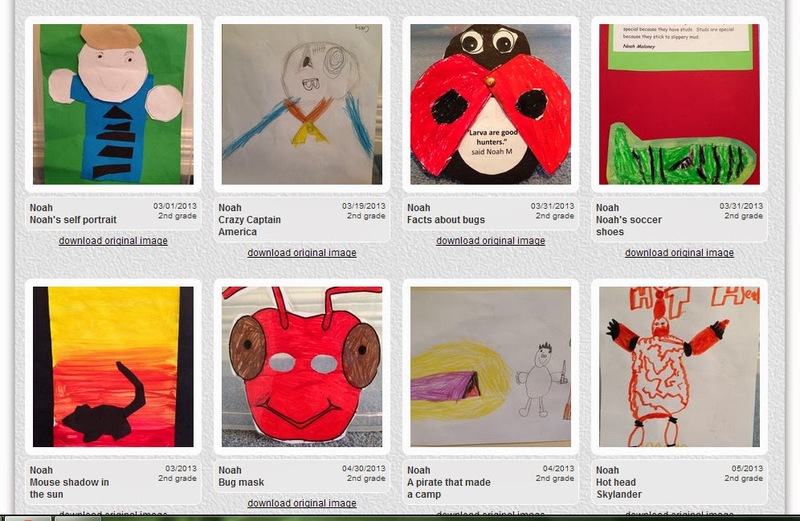 What is Artkive I hear you say - a fantastic app for your phone where you can take pictures of all the kids artwork, catalogue it and eventually if you want to you can print it and turn it into a book. I haven't quite got to the printing stage but having recorded it all now it sure makes me feel a lot less guilty about throwing out all the originals as the piles tend to mount up around the house throughout the year! And I have a sneaky feeling this sunset was the city's way of trying to say sorry for the terrible holiday weather it dumped on us - 2 storms in 3 days is pretty awful for what was meant to be summer holidays - but I guess it wasn't a bad apology as apologies go! Rainy days and de-cluttering = finding great big boxes for sliding down the stairs. So. much. fun. Hey so the boxes didn't last too long but it was helluva fun while they did! And that my friends is all we have time for today. So how's the summer been treating you so far - thumbs up, down or somewhere inbetween? Do tell.